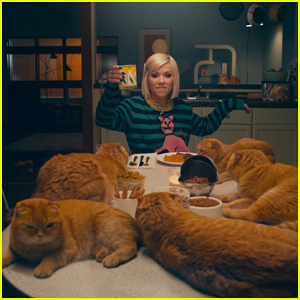 00 Photos, News, and Videos | Just Jared Jr.
Carly Rae Jepsen is cat obsessed in the official music video for “Now That I Found You,” and you can watch it right here! The track is the latest single off of the 33-year-old singer-songwriter’s upcoming fourth studio album, which is due out later this year. In the clip, Carly channels her inner cat mom after adopting multiple adorable ginger kitties. They accompany her in bed, in the bathroom, in the kitchen and in even in her catnip fantasies. Does everyone remember that scene with Cheryl and Toni that was supposed to air during the season two finale of Riverdale – the one where Cheryl asked Toni to move in with her? Showrunner Roberto Aguirre-Sacasa is now opening up about why it was moved from season two into season three. “Sometimes it’s because of timing, and other times it’s because we’re like, ‘Oh, this just feels a little bit fast,’” he shared while talking with ET. 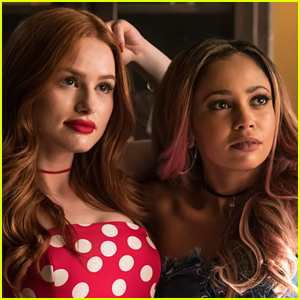 The scene prompted Roberto to reveal that more Choni romance was indeed coming in the upcoming episodes, thank goodness. Riverdale returns in just a few weeks on The CW. 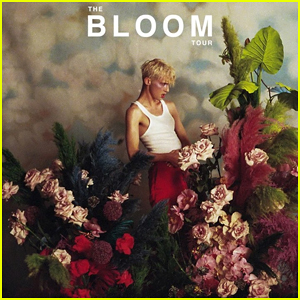 Troye Sivan will be hitting the road this summer for a North American tour called, The Bloom Tour, and the dates were just announced! The North American headline run, produced by Live Nation, will kick off on September 21 in Dallas at the Pavilion at Toyota Music Factory. Kim Petras, LELAND and Carlie Hanson will serve as opening acts for select dates. Fans who download the official Troye Sivan app, available on Apple Store and Google Play, will have access to a chance at advance tickets during the pre-sale, which begins on Tuesday, June 5, at 9:00 AM PT. Maddie and Tae‘s upcoming album is about to be your favorite new heartbreaking love story, and JJJ can’t wait to hear more of it. about their forthcoming record and the story behind it. 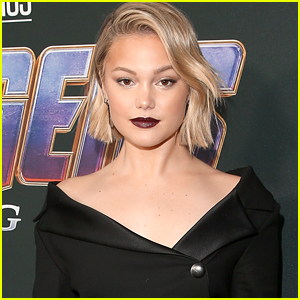 If you’re an avid watcher of Dancing With The Stars, then you’ve probably seen Maia and Alex Shibutani in the audience numerous times over the past seasons. While not watching the show, the Olympic bronze medalists are working with the dancers — most notably Derek Hough and Jenna Johnson. “If they wanted us on, I think we would consider it,” Alex shared with EW recently. TELL JJJ: Would you want Alex and Maia on the show?